There are 633 Cabinet Accessories products. A power distribution unit (PDU) is an essential part of any network. 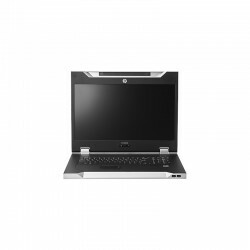 It is designed with multiple outlets used to distribute power to devices inside a server cabinet. PDU’s come in various sizes from small basic power strips to enterprise level load balancing units. They can be used to improve the quality of the power being supplied and in some cases can be remotely managed. PDU’s often come with circuit breakers to cut the power to one or multiple outlets if a surge is detected. It is common practise in a datacentre to mount your PDU in a server cabinet and depending on the cabinet this can done either horizontally or vertically. Netstore holds stock of PDU’s from all the leading manufacturers as well as our own in-house range of Connectix PDU’s, all available for next day delivery. These lightweight cantilever shelves are ideal for storing equipment that isn't rackmountable in your cabinet. 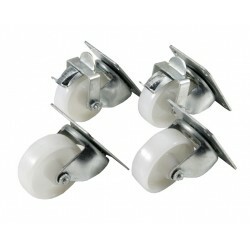 Their shallow depth makes them the perfect accessory for our range of wall mounted cabinets. 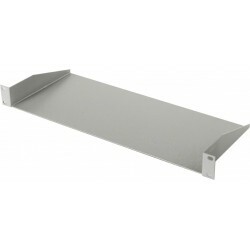 These fixed shelves are dsigned to fit the CCS range of floor standing Data Cabinets and Data Racks.They are ventilated to help with bottom to top airflow in the rack.Load rated up to 65kg. These shelves are deisnged to fit in the RackyRax Wall Mounted Data Cabinets. 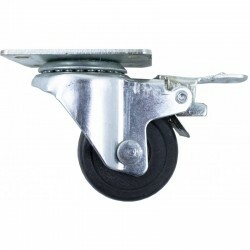 They mount on the front profiles to provide a sturdy base to sit your equipment. 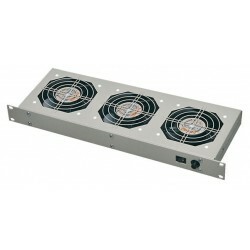 These rack fan units can be mounted anywhere within your cabinet to help with vertical airflow. Their sleek design meand they only take 1u of space. Available with either 2, 3 or 4 fans. 2 and 4 fan units are made to order, please call us on 01376 333 500 to place your order over the phone. Features:-High Power Density. -Horizontal mounting capability. -Low Cost Power Distribution. 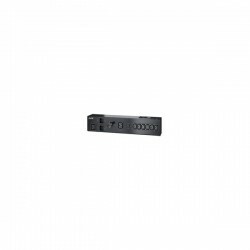 APC Basic Rack PDU, Input: 230V, Input Connections: IEC 309 16A 2P+E, Cord Length: 3 feet ( 0.91 meters ), Output: 230V, Output Connections: IEC 320 C13, IEC 320 C19. Includes: Installation guide, Toolless Mounting Kit. APC Basic Rack PDU , Input: 230V , Input Connections: IEC-320 C20 , Cord Length: 10 feet ( 3.05 meters ) , Output: 230V , Output Connections: IEC 320 C13,IEC 320 C19. 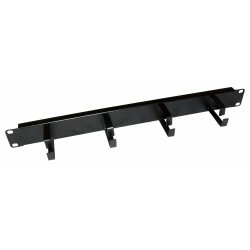 Includes: Installation guide, Rack Mounting brackets, Toolless Mounting Kit. APC offers a wide variety of Basic Rack Power Distribution Units (PDUs) that distribute power to rack-mount equipment.- Single input power source.- Toolless Mounting Capabilities.- Vertical Mounting Capabilities. 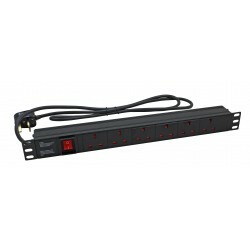 APC Basic Rack PDU , Input: 400V 3PH , Input Connections: IEC 309 32A 3P+N+PE , Cord Length: 6 feet ( 1.83 meters ) , Output: 230V , Output Connections: IEC 320 C13,IEC 320 C19Includes: Installation guide, Toolless Mounting Kit. 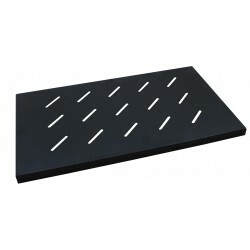 APC Basic Rack PDU , Input: 400V 3PH , Input Connections: IEC 309 16A 3P+N+PE , Cord Length: 3 feet ( 0.91 meters ) , Output: 230V , Output Connections: IEC 320 C13,IEC 320 C19.- Low Cost Power Distribution.- Vertical mounting capability.- Toolless mounting capability.- Multi-branch power input.